luciollle offers a strong brand universe, fancy, classy and inspiring. 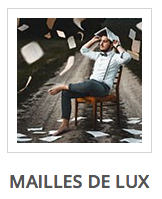 Our catalog is composed of 11 collections distributed in "Les Essentiels" et "Les Audacieux". Les Essentiels gather 8 collections each with a name of city or place. Les Essentiels are perfect for interior design projects. But shopping "favorite" to the unit are also highly recommended! Les Audacieux are composed of 3 collections, Terra Incognita, Littoral and Little. The luminaries in these collections come in and out of the luciollle catalog according to the seasons, successes and availability. Most luminaires Les Audacieux are available in 3 models: Base, Table and Floor (floor lamp 160 cm). 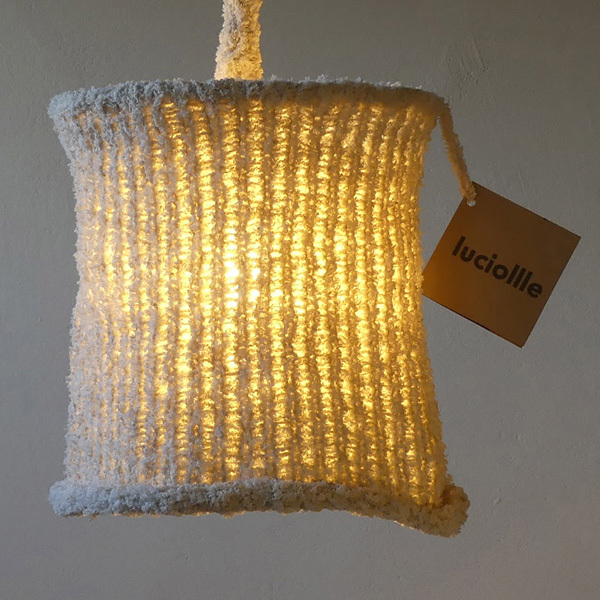 Each luciollle luminaire is equipped with knitted mesh shades, an exclusive luciollle®process. Lampshades Les Essentiels are sold separately if you wish. 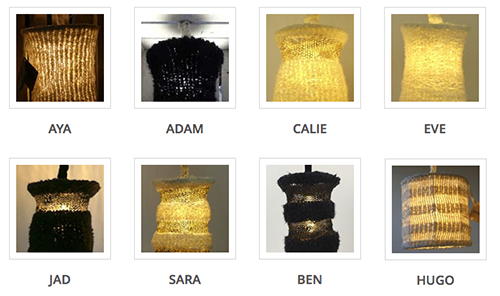 You can equip your own lighting with our luciollle lampshades. There are two lampshade models: the "air" (down) and the "tab" (up) which are differentiated by different metal carcasses. We also offer a tailor-made service of your luminaires. luciollle® is a registered trademark. No other person or entity may produce and sell products of any kind whatsoever with this name.